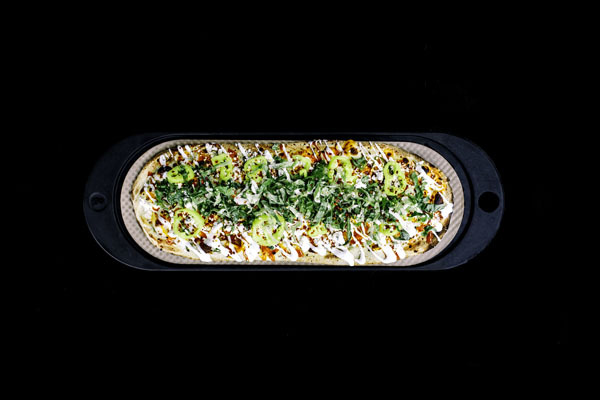 Capitalizing on the momentum surrounding its NYC debut in June in NoMad, ​&pizza​, the award-winning creators of made-to-order oblong-shaped pizzas and craft beverages, will open a second NYC shop at 740 Broadway (at Astor Place) on October 3rd. The new outpost is &pizza’s 23rd shop in the United States and will serve as a launchpad for ​Make Your Mark, &pizza’s new national campaign that celebrates individuality, creativity,​ ​and​ ​community​ ​through​ ​storytelling. The Washington, D.C.-based anti-establishment establishment is known for its ampersand-tattooed employees (the “Tribe”), hyper-local charity partnerships, and commitment to conscious community. Additionally, CEO, cofounder and creative director ​Michael Lastoria ​is a vocal advocate in the ​Fight for 15 and has built the brand around a simple concept – ​take care of your people ​ – every Tribe member is paid a living wage. Lastoria’s passion for community building​ ​and​ ​conscious​ ​capitalism​ ​is​ ​reflected​ ​in​ ​every​ ​aspect​ ​of​ ​the​ ​&pizza​ ​experience. &pizza’s signature oblong​-shaped pizzas are made with the highest quality ingredients and bake in under 2 minutes – with the ability to craft up to 320 pies per hour, the brand is well-suited to New York’s brisk pace. ​To celebrate the new Astor Place shop, &pizza will offer free pizzas to the first 100 guests in line on grand opening day. As has become tradition when opening new shops, &pizza will also offer free tattoos of the brand’s trademark ampersand logo to the first 23 guests in line who request them. Those interested will be receive VIP transportation from the Astor Place shop to ​First Class Tattoo on Canal Street and, once inked, will receive free pizza for a year. Connection, inclusion and unity are the core values of the &pizza​ ​brand,​ ​and​ ​the​ ​meaning​ ​behind​ ​the​ ​ampersand​ ​logo. 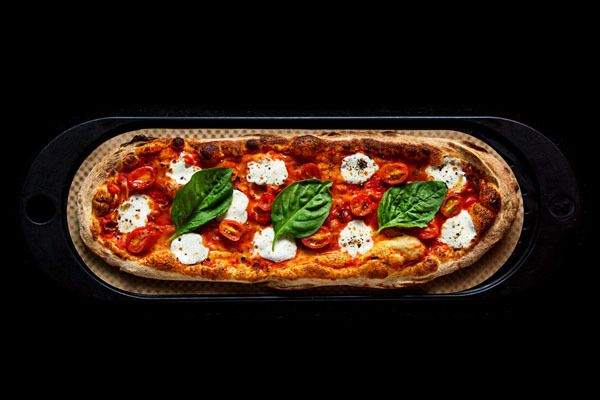 The Astor Place menu will spotlight &pizza’s lineup of creative, fully customizable signature HIT pies like the ​American Honey ​(spicy tomato, mozzarella, pepperoni, arugula, red pepper flakes, goat cheese, ​Mike’s Hot Honey​) and the ​Moonstruck (mushroom truffle, garlic ricotta, mozzarella, mushroom, grilled onion, goat cheese, fig balsamic), as well as the brand’s newest limited-time best seller, the ​Dirty Bird ​(garlic ricotta, shredded mozzarella, jalapeño, chicken, buffalo sauce made in collaboration with ​8 Myles​, ranch, banana pepper, romaine, blue cheese and​ ​red​ ​pepper​ ​flakes). Guests have the ability to craft their own pizza with &pizza’s high-quality ingredients and add-ons;​ ​toppings​ ​are​ ​unlimited​ ​and​ ​the​ ​pizzas​ ​are​ ​mindfully-priced​ ​at​ ​$11,​ ​including​ ​tax. &pizza is also introducing a new finish, the beloved barbeque sauce from NYC’s ​Mighty Quinn’s​. The sauce will be featured on &pizza’s HIT pie, the ​Pineapple Jack​, and will also be available​ ​for​ ​guests​ ​to​ ​utilize​ ​as​ ​a​ ​finish​ ​on​ ​any​ ​craft-your-own​ ​pizza. By partnering with Little Giants—small, like minded brands that are doing big things in their communities—&pizza is continually able to elevate the experience they offer while simultaneously supporting local culinary partners. The Astor Place shop will welcome new NYC-based Little Giants, ​Mighty Quinn’s ​and ​Keepers coffee soda into the mix; &pizza is also excited to continue its ongoing relationships with ​Milk Bar, Mike’s Hot Honey, ​and ​Luke’s Lobster. &pizza’s award-winning hyperlocal shop design philosophy is grounded in a clean black and white​ ​palette,​ ​the​ ​perfect​ ​canvas​ ​on​ ​which​ ​to​ ​showcase​ ​the​ ​work​ ​of​ ​local​ ​artists. The Astor Place shop will feature a custom sculptural installation created by NYC-based talent Jason Woodside ​– Woodside’s works have graced exterior walls in New York City, Los Angeles, San Francisco, Sydney and Paris and past commissions and collaborations include work​ ​with​ ​Adidas,​ ​Saatchi&Saatchi,​ ​WeWork,​ ​Google,​ ​the​ ​New​ ​Museum,​ ​and​ ​Jeffrey​ ​Deitch. Woodside’s installation – titled ​Black&White – will comprise two related works flanking either side of the dining room. Woodside says that the work, ​“highlights my exploration of a monochrome palette while considering my surroundings and surface area. The piece is bold and progressive and aligns with the culture and environment of &pizza.” ​ The finish treatments on​ ​the​ ​shop’s​ ​brick​ ​walls​ ​and​ ​restrooms​ ​also​ ​echo​ ​Woodside’s​ ​work. In addition to the installation, an abstract pattern of Astor Place will adorn the storefront signage and​ ​extend​ ​onto​ ​a​ ​dynamic​ ​light​ ​feature​ ​within​ ​the​ ​restaurant. &pizza thrives on championing individuality and celebrating the brave and bold communities it serves. As the brand continues its expansion in new markets, like New York City, the Make Your Mark campaign will celebrate creators who are making their own unique mark in their respective fields and communities. In addition to the launch of a national social campaign, &pizza will ask fans to co-opt the & logo as a symbol of individualism and creative expression by offering free pizza to guests who share their own images of the logo captured “in the wild” using #MakeYourMark. &pizza will also be engaging creatives to make their marks on their signature &pizza​ ​box. Founded in 2012 in Washington, D.C.’s historic H Street NE corridor, &pizza set out to create a different kind of pizza shop – one where experience is the focal point, and every shop reflects the culture and people of its neighborhood. Since 2012, &pizza has been fueling the communities it serves through its charitable arm, &CHARITY, which has supported over 1,000 local organizations since the program’s inception. Evidence of their disruptive success can be found in the organizational culture of its employees, its rapid expansion and numerous recognitions. The brand was recently dubbed the “next generation of pizza” by Buzzfeed and named ​Business Insider’s “Most Popular Pizza Chain” in Washington, D.C., taking home wins in 7 different “Best Of” categories ​by Washington City Paper​ . &pizza is currently a finalist for a 2017​ ​QSR/FPI​ ​Packaging​ ​Award. &pizza currently has 22 shops across Washington, D.C., Baltimore and Philadelphia. 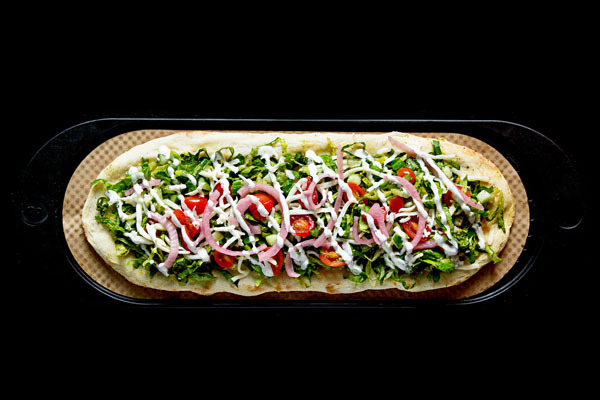 Follow &pizza on Instagram, Twitter and Facebook at @andpizza, and visit their site at www.andpizza.com/nyc. &pizza’s CEO, cofounder, and creative director, Michael Lastoria, is a serial entrepreneur who is known for building companies on four core principles: design-driven, culture-centric, brand-led, and​ ​most​ ​importantly,​ ​morally​ ​sound. In 2012, he co-founded &pizza, a fast-casual pizza brand that embodies those principles. In five years, he has raised more than $60 million for expansion and growth, opening 20+ shops spanning multiple east coast markets. From culinary to shop design, &pizza set out to create a brand with strong point of view. The company’s success is evidenced in the Tribe’s intentional commitment​ ​to​ ​building​ ​a​ ​cultural​ ​movement.